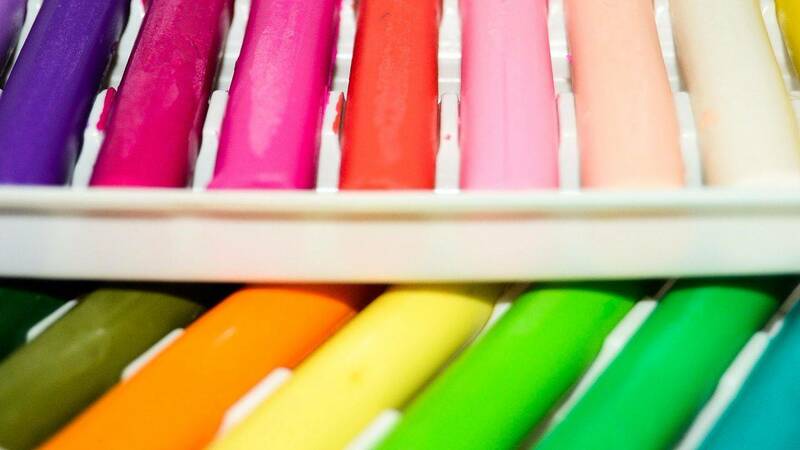 If you have a lot of free time or you don’t know what to do with your child, we offer you to do the art. 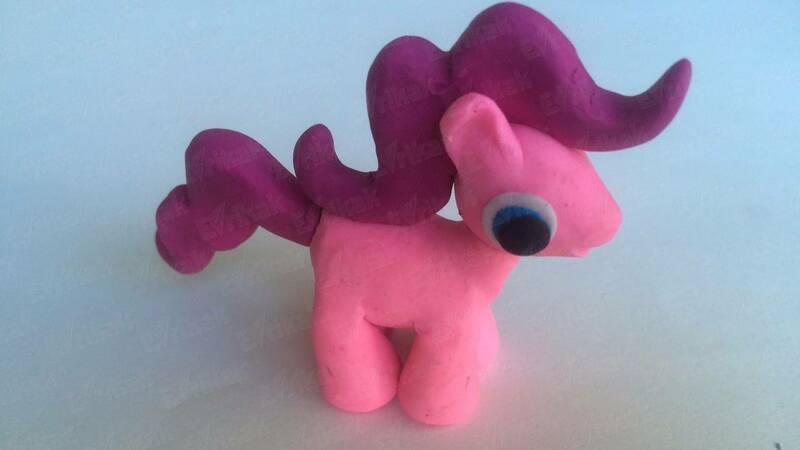 But it’s not a usual art. 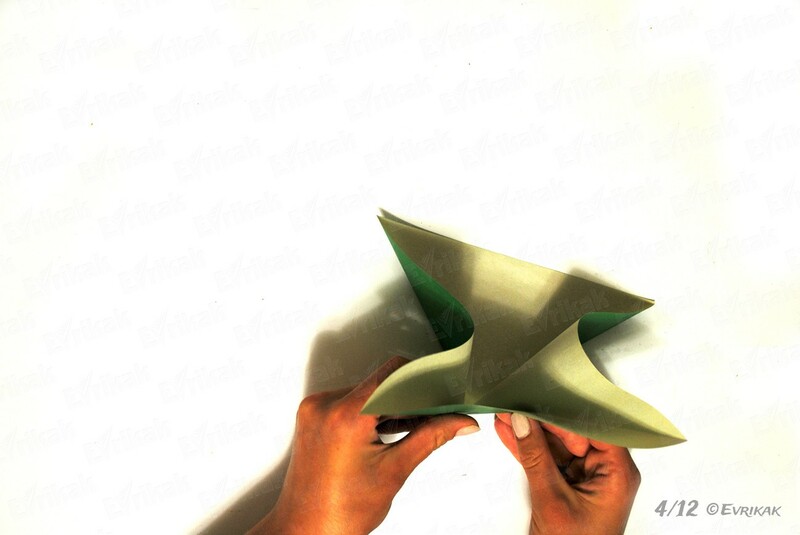 The art of paper folding — origami. Don’t be afraid even if you’ve never tried it before. It’s very easy and interesting. 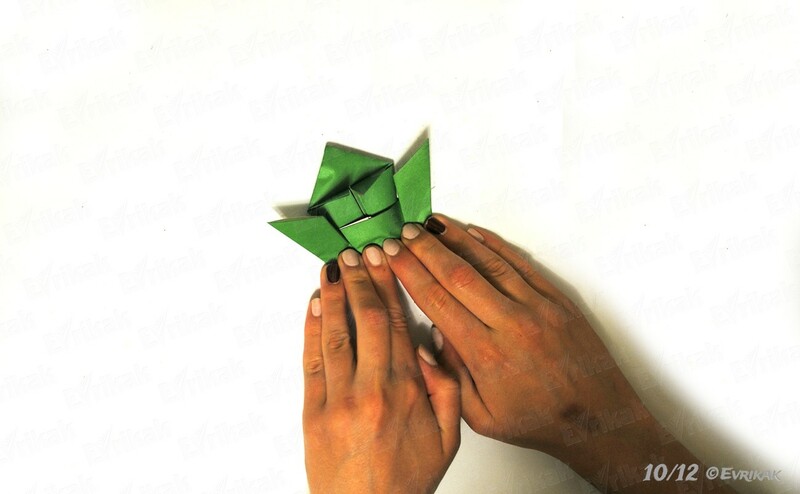 We’ve prepared for you a step by step instruction with a description and photos, which helps you to make a frog from paper. The same can be done with the table napkins, if you want to diversify the holiday table. Sure, you will like it! 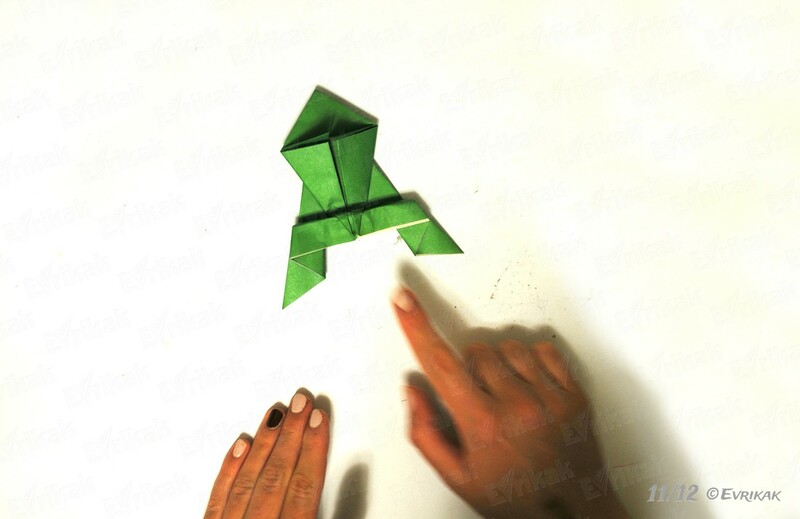 We offer you to print the collage of step by step actions to make it easier for you to make a paper frog. 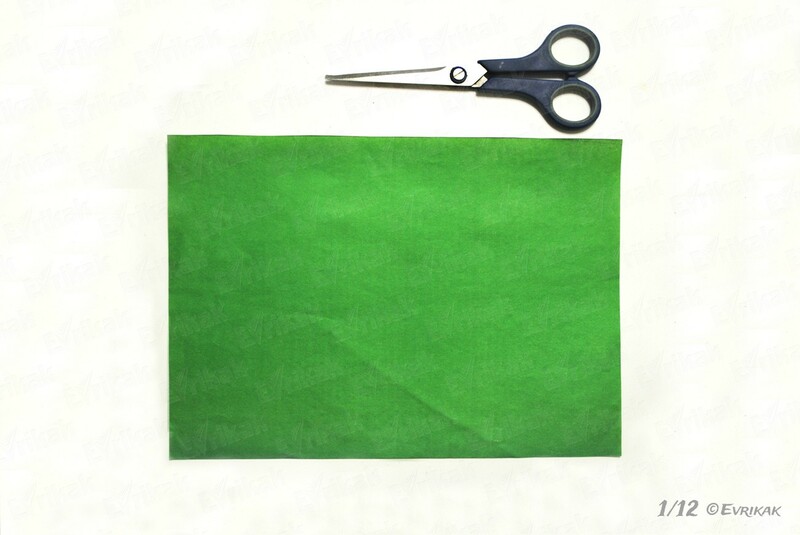 It’s better to use a green paper to be close to nature as much as possible. 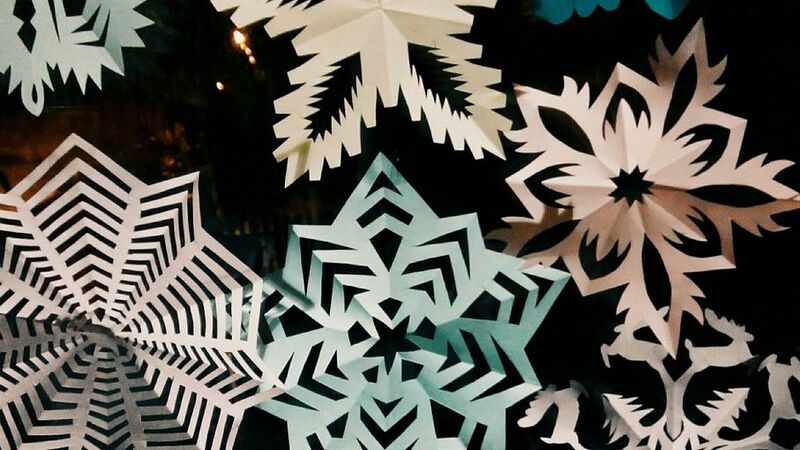 You can use a thin cardboard, a colored paper or a napkin. 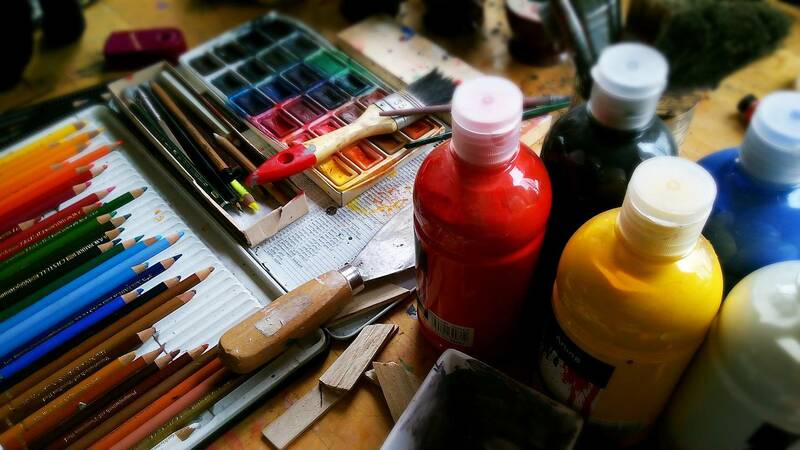 The material for making the frog should be of even and square form. 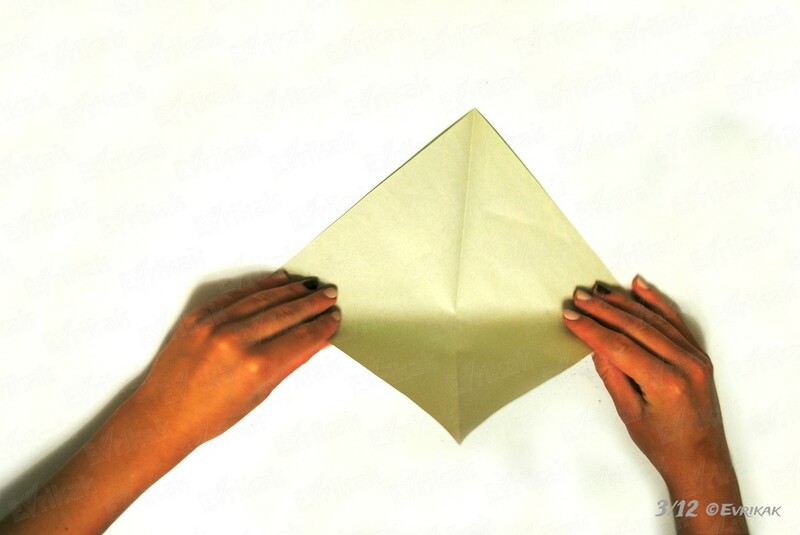 If your paper has a form of a rectangle, fold the lower corner to the top. Cut what is left. 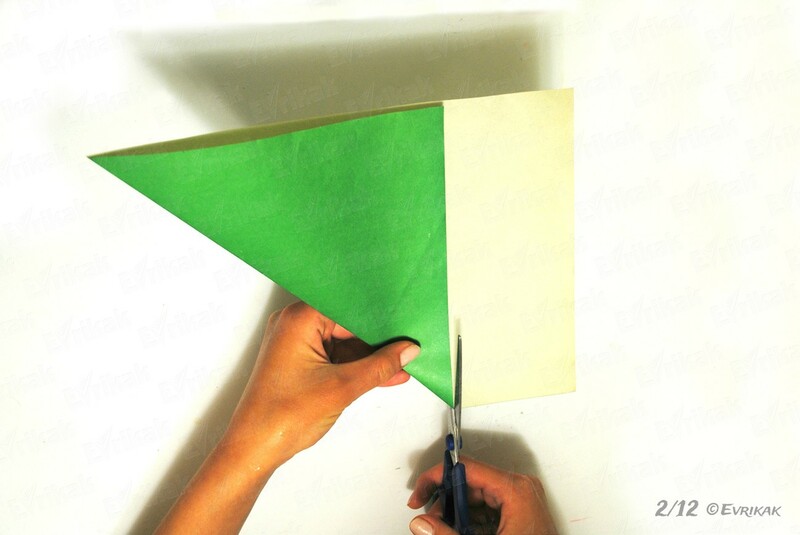 Make the paper corners be guiding and fold trace must be vertical. 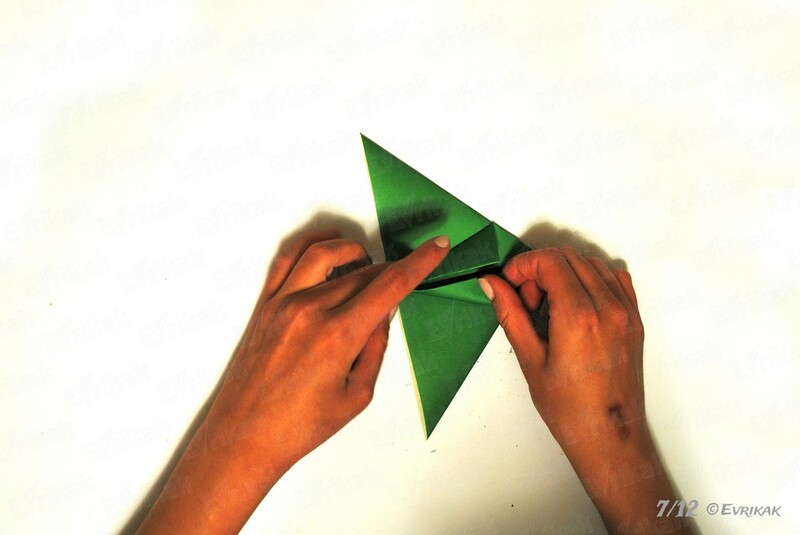 Looking the fold’s traces, take the paper sides in such a way to make a small triangle. The product will be like a roof with the curved inside sides, if it is put on the table. 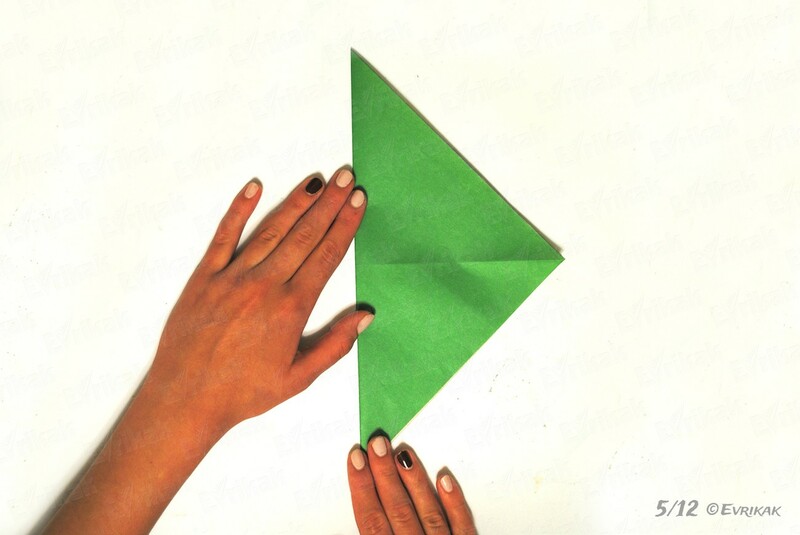 Smooth out all the seams with your fingers to make the triangle look smooth and good folded. Connect the lower corners of the triangle’s upper part at the highest point of the whole figure. In the form of a directing arrow. 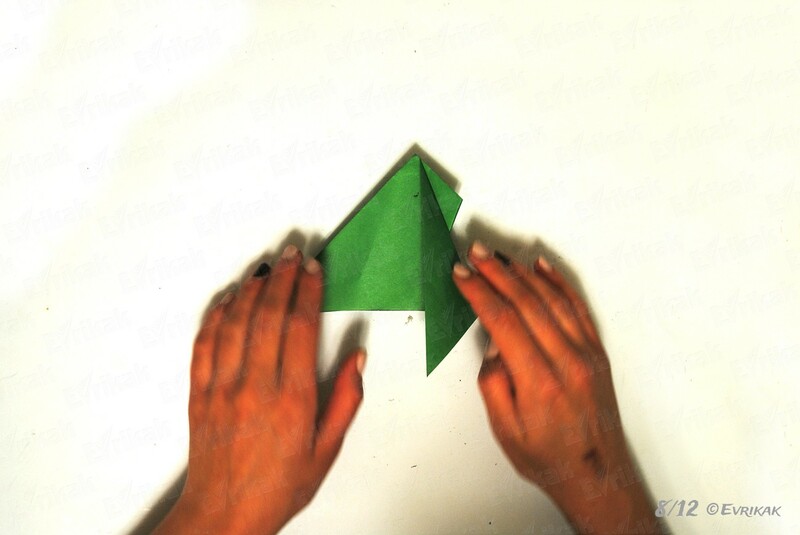 Connect the upper corners of a small triangle, which we had on the last stage. The curved triangles of the product must be turned to the table. You should have a directing arrow before you. 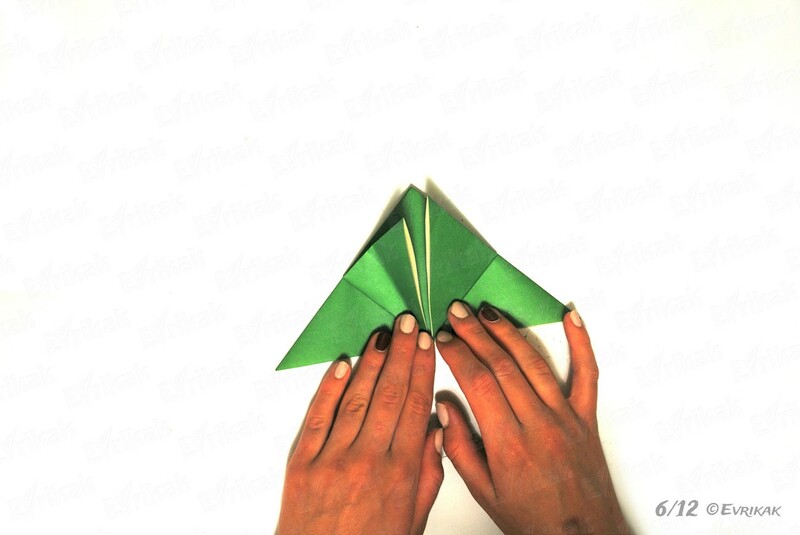 Fold its sides, connecting the edges with each other in the center. Start doing it from the inner side. Each must be bent and folded. 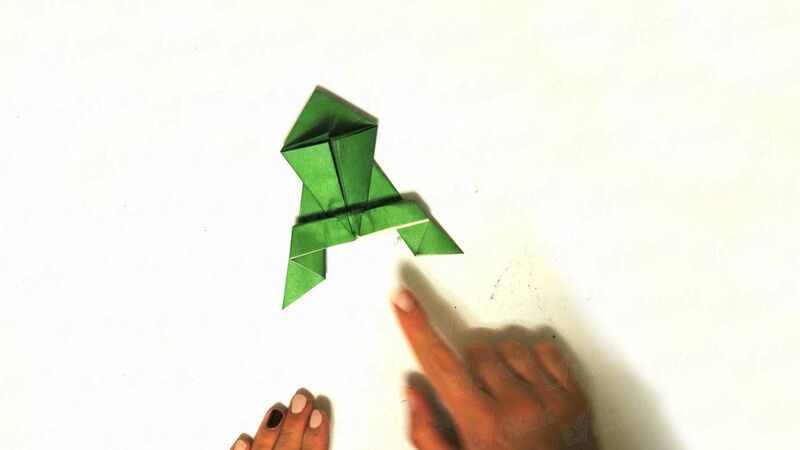 Don’t forget to smooth out the product’s edges from time to time to make the frog stand well and have a clear form. 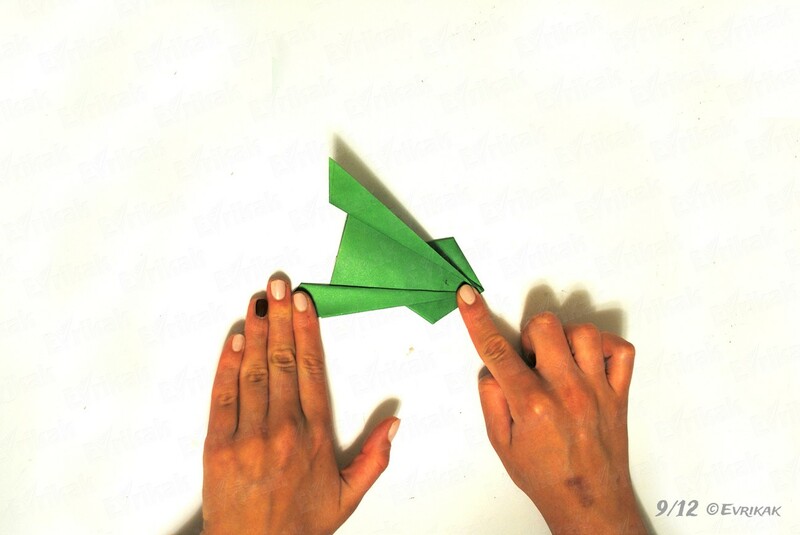 Turn the frog on the other side and bend a little less than in a half. Put the product in a previous position. Make a little “step” in the form of bunching at the bending area. 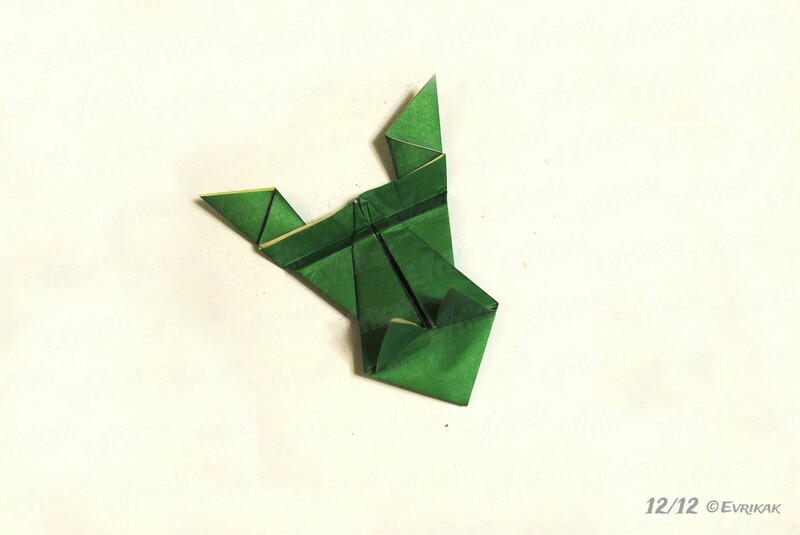 Pull down the upper little triangles in the area of the frog’s eyes to simulate its having the big eyes.